I am very fortunate that my daughter loves vegetables. The only veggies she doesn’t like are lettuce and black olives. Seeing as she eats anything else, I have zero problems with allowing lettuce and black olives to be ‘not her thing’. Because of this, a lot of the time, we use spinach and/or kale as the base for our salads, which are more nutrient rich anyway! I can not say enough good things about this recipe! I ended up cleaning my plate and going back for seconds an hour later! We used our easiest ever marinade for the grilled chicken, but feel free to use whichever is your favorite! additional parmesan, thinly sliced red onion, croutons, sun dried tomatoes, black olives etc…. Place mayonnaise, lemon juice, worcestershire, shredded parmesan, parsley, garlic, olive oil, and half & half in blender or food processor. Blend until smooth. Place spinach in a large bowl and dress with the dressing until coated. 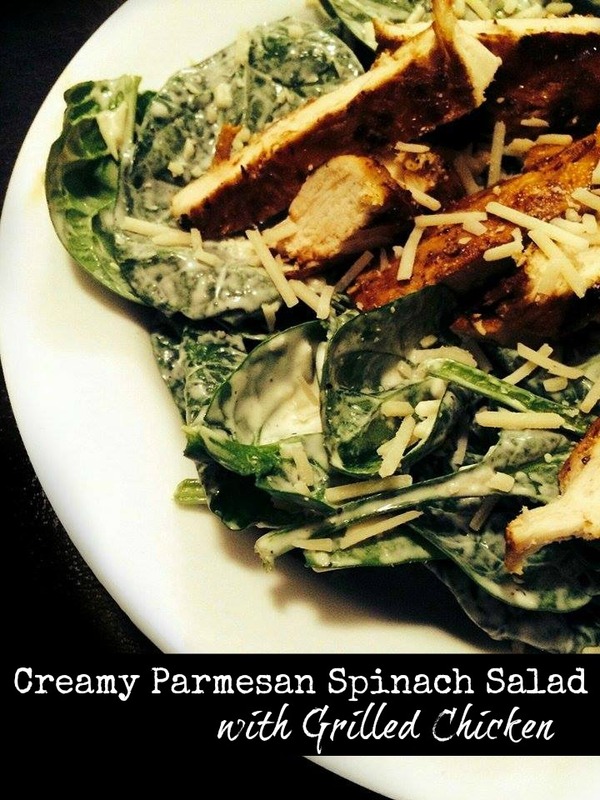 Divide the spinach into 6 plates and top with chicken and additional toppings as desired. Serve immediately. 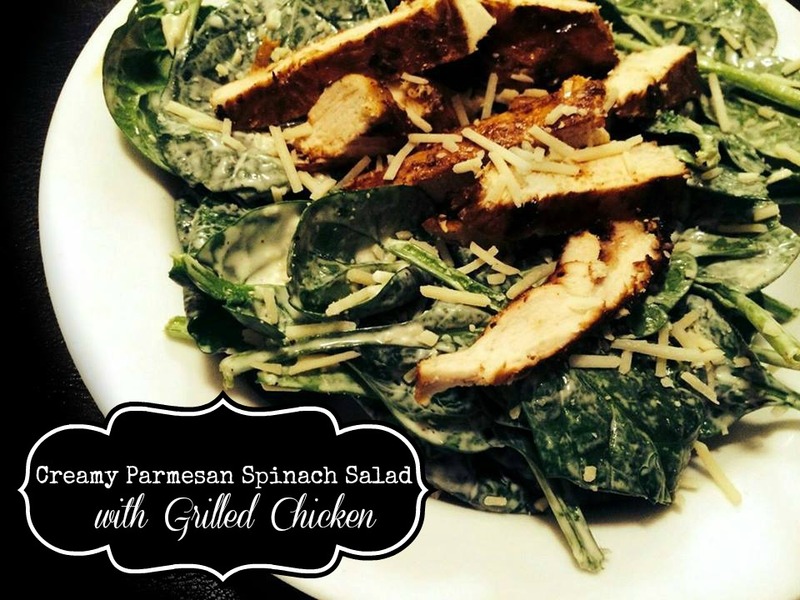 I love finding yummy new main course salads and yours looks amazing! This looks so yummy; I hope that little beauty of yours keeps prompting you for more delicious ideas! What a fantastic and flavorful salad!! !